After a night of reggae and dancing with my friends, Bodhi Rock, I was soooo hungry and wanted ramen. 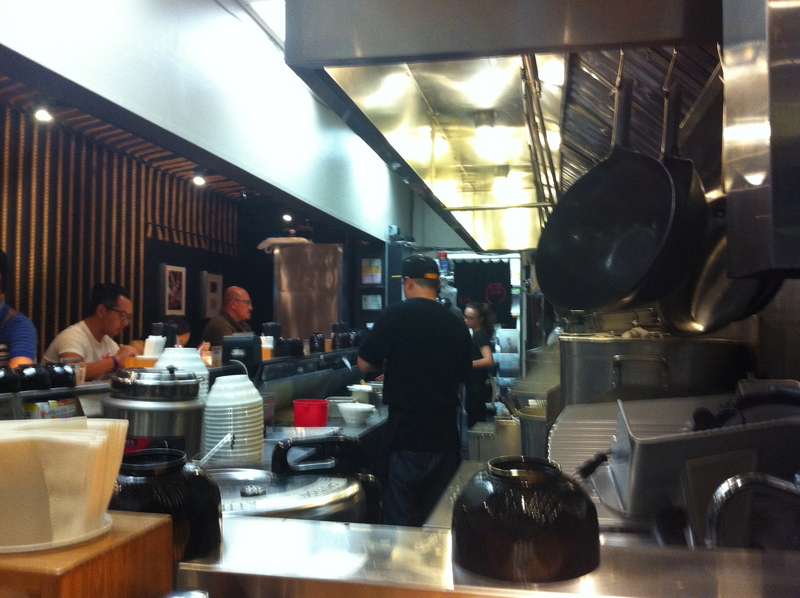 The only place I knew of that was open past midnight was Tatsu Ramen in Little Osaka. My friend, Jeraldin, who has been so great at supporting the Bodhi Rock shows, joined me for ramen. Bodhi Rock rockin’ it at the Basement Tavern in Santa Monica. My quest for tsukemen continued. 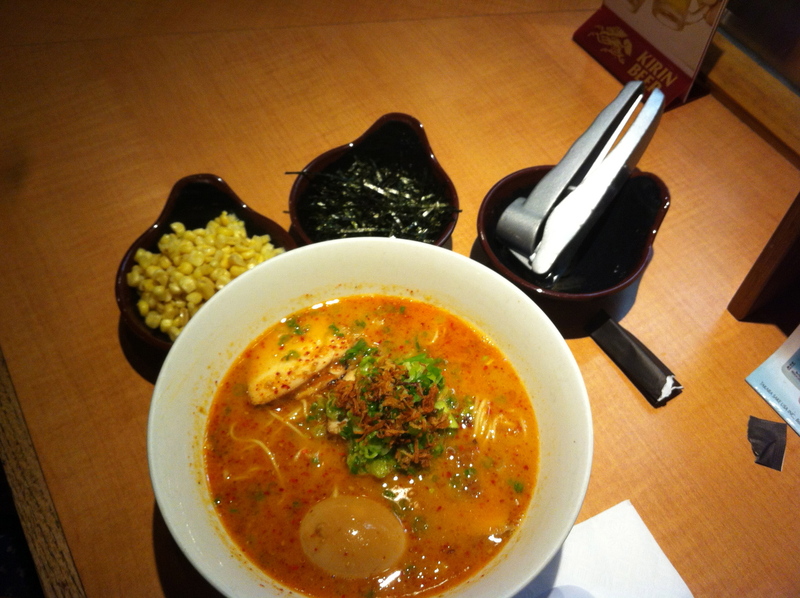 I was stoked to find out that Tatsu Ramen added a few new things on their menu, as well as a gluten-free option! (for those gluten-free ramen-deprived folks.) I can’t remember everything new they had, but I ordered the dipping ramen and Jeraldin ordered the red ramen, that you can custom build with their iPads. I really enjoyed my dipping ramen, although the tonkotsu broth was a little too fishy for my liking. (It’s flavored with bonito flakes.) But overall, good flavor for what it was. The broth was pretty thick, which made it easy for the noodles to absorb the broth! I mixed the noodles, green onions and garlic bits up, and squeezed the lime over everything. They were a nice combo of flavors! But the chashu was not very memorable. (Seriously, I can’t remember if I liked them or not!) Jeraldin goes to Tatsu pretty often, (I know this because she always checks-in here on Yelp… yeah I’m a Facebook stalker…) so I’m sure she likes the ramen there. When I first checked out Tatsu, I wasn’t very crazy about it. But having come here for the second time and enjoying my ramen, and that it was conveniently open after a late gig, I wouldn’t mind coming here from time to time. For an after hours ramen joint, this place is pretty good. Tatsu’s ramen does have a soul after all. ps. 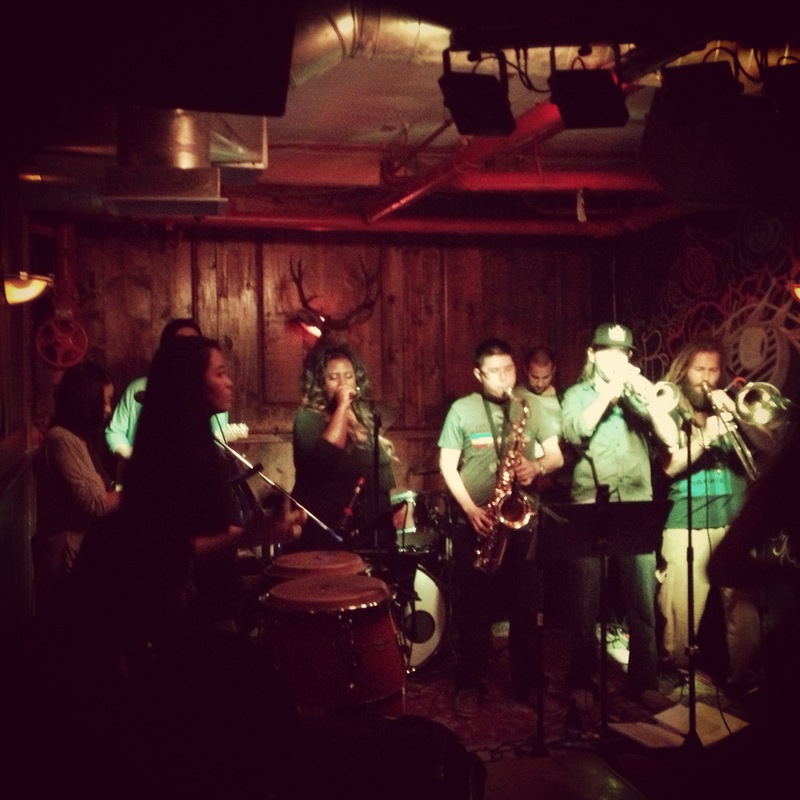 Bodhi Rock is at the Basement Tavern on every first Sunday of the month! Click here for their FB page. Parking in Little Osaka can get pretty crazy and not free. (Unless you can find some in the surrounding neighborhoods.) But late at night, parking is plentiful and free. 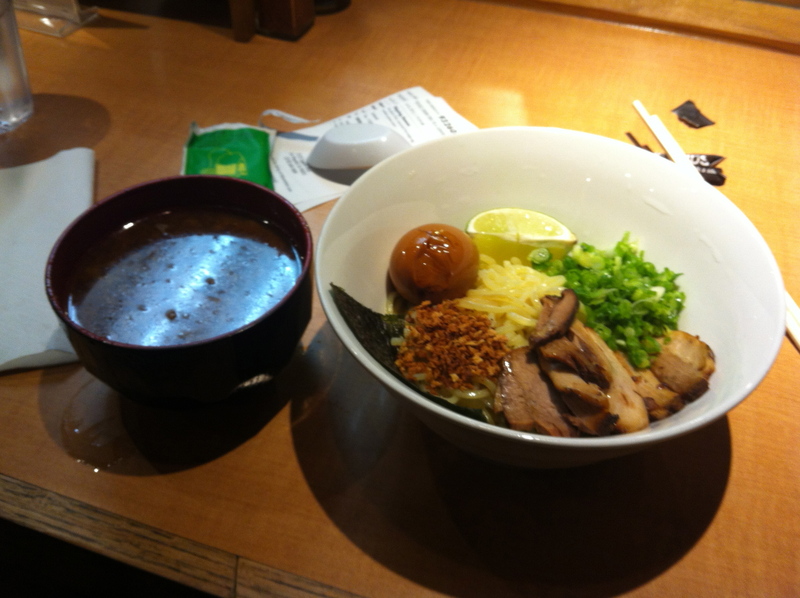 This entry was posted in Foodie, Little Osaka, Ramen, Ramen Run, Restaurant Review, Tonkotsu, Tsukemen and tagged Tatsu. Bookmark the permalink.